There has been talked about much on Kareena Kapoor Khan working with Sanjay Leela Bhansali, the chances have come lots of time. It started with 2000 when Bhansali wanted to make Bajirao Mastani taking Salman Khan in the leading role, at that time Bhansali wanted to cast Kareena in the role of Mastani. Even Salman and Kareena both also had a poster shoot for the film. However, things didn't fall according to the terms and the film didn't happen. After that Bhansali made this film taking Ranveer Singh and Deepika Padukone in 2015. Even reports were that Bhansali even offered Ram Leela to Kareena Kapoor but when Kareena got to know that newbie Ranveer Singh is playing leading role she denied working in the project. Even after that Bhansali always has shown interest in working with Kareena. Now recently Kareena was posed with a question where he was asked Is there anything she had not done yet and wants to do? She immediately said working with Bhansali in any film. 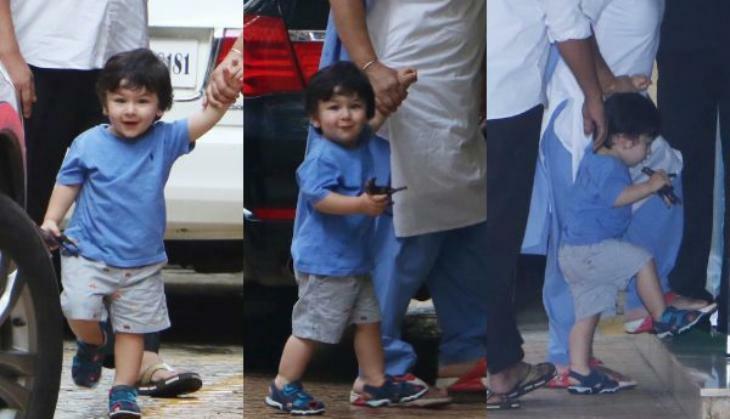 However, Kareena here told that she might be unable to work with Bhansali till his son Taimur at least turn 10 years old. It seems like that her fans have to wait for some time longer to see Kareena working in Bhansali's film. Although, Kareena Kapoor Khan had worked with Bhansali in the film Gabbar is Back, actually, Kareena played a cameo role in Bhansali's production venture.